The 2018 Commonwealth Games will begin with what event CEO David Grevemberg describes as "a secret message in a bottle" from a very special patron. (CNN) - The 2018 Commonwealth Games will begin with what event CEO David Grevemberg describes as "a secret message in a bottle" from a very special patron. A speech by Queen Elizabeth II will be removed from a baton that has toured the predominantly former British Empire nations that make up the Commonwealth and read out by her son, Prince Charles. While the Queen has cut down on long-distance travel in recent months, her family's connection to the Commonwealth and the sporting event that bears its name remains strong. The Queen ascended to the throne while touring the Commonwealth in place of her ailing father, King George VI in 1952. She has also attended most Commonwealth Games since the 1970s. Yet even without her presence at the Gold Coast event which begins in April, Grevemberg says the Games will be looking to "uphold Her Majesty's vision and passion for the Commonwealth." "It all goes back to her speech to the Commonwealth on her 21st birthday in Cape Town in 1947 and dedicating her life to the Commonwealth," Grevemberg explains. "The Commonwealth is about selfless leadership and no one is perhaps a better exponent of that" than the Queen. Philip Murphy, author of "Monarchy and the End of Empire: The House of Windsor, the British Government and the Postwar Commonwealth," says the Queen has been around as long as the Commonwealth and has done more than most to shape it. The Games have played a big part in that endeavor, highlighting the Commonwealth in the best terms possible every four years, adds Murphy, a professor of British and Commonwealth history at the University of London. Today, the Queen remains patron of the Commonwealth Games Federation but she has passed on many of the duties to her family. The Queen's third son, Prince Edward, the Earl of Wessex, is vice-patron while her husband, Prince Philip, has also played an important role over the years. "Initially, Prince Philip was the key figure from the royal family as president of the Games," explains Murphy, "and he had an important role to play, intervening at some quite key moments. "I don't know how much he pushed for the role but he wanted a proper job and he'd already done quite a lot of Commonwealth-related activities." Not a figure always renowned for his diplomacy, he was integral to the inception of the Queen's Baton Relay in 1958 and again following wholesale nation boycotts in 1986. Murphy continues: "When there was a large-scale boycott in response to apartheid in South Africa, it was suggested that non-attending nations should be penalized but that would merely have deepened the row. "Prince Philip played a role in toning down calls for sanctions to be taken against the countries that had boycotted." While Philip flourished in the position, the Queen began to take a more of a behind-the-scenes role with regards to the Games, even more so today, with Charles as her heir an increasing face in Commonwealth countries and Edward having been associated with the Games officially since 1990. Murphy describes the royals' connection to the Games as "a classic example of the firm at work -- the Queen can't be everywhere so other members of the family have to step in." Part of the thinking behind an increasing prominence for Charles is that while he is in line to succeed the Queen as monarch, he does not automatically take on the position of head of Commonwealth. But Murphy argues that there is no suggestion the Games will become extinct after the 91-year-old monarch's death. "Of all the Commonwealth things," he argues, "that will be the last thing to die, and anyway I think she'll outlive me!" 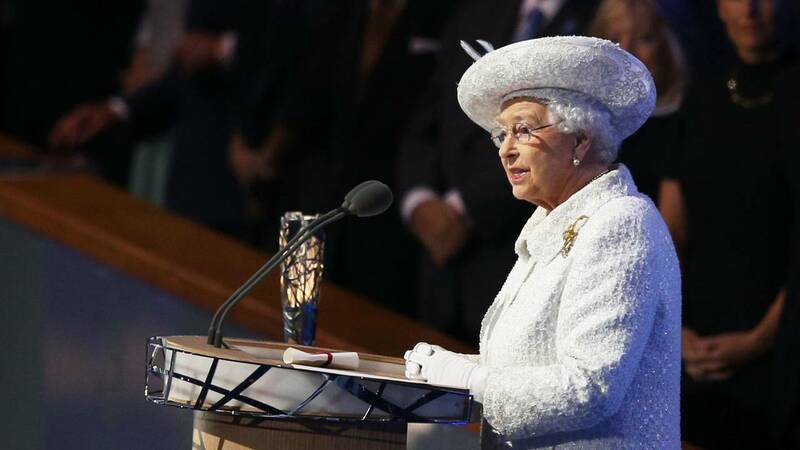 For the Commonwealth Games Federation itself, the Queen remains a central part of everything that happens in the buildup to and during the Games themselves even if the links become tighter now with other members of her family. As for the links with the wider royal family, Grevemberg says the ties are stronger than ever. "We've great support from the royal family from Clarence House to Buckingham Palace and for that we're very grateful," he says.